You can now add the adidas NMD R1 Primeknit Triple Black colorway to the upcoming adidas NMD releases that will begin launching in June. This adidas NMD features a full Black Primeknit woven upper covering the low-top runner, along with touches of contrasting White accents throughout. But the highlight of the shoe is its Boost cushioning that’s done in Black, along with the midsole plugs that are also in Black with scripted text in Japanese and German. 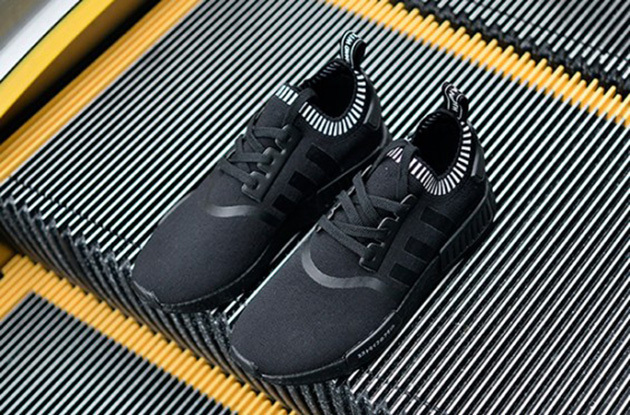 Check out the detailed images below and look for the adidas NMD_R1 Primeknit “Triple Black” to release internationally on June 10th, 2016 at select adidas Originals retail stores. Stay tuned to Sneaker Bar for more updates on a stateside release.